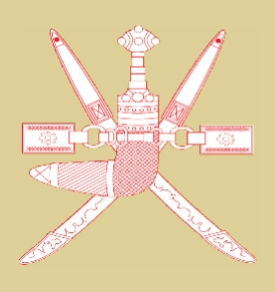 Oman, officially the Sultanate of Oman, is an Arab country in southwest Asia on the southeast coast of the Arabian Peninsula. It borders the United Arab Emirates on the northwest, Saudi Arabia on the west and Yemen on the southwest. The country also contains Madha, an exclave enclosed by the United Arab Emirates, and Musandam, an exclave also separated by Emirati territory. Awfiya Min K'ram Al Arabi. For him we shall lay down our lives. With the blessing of Heaven. 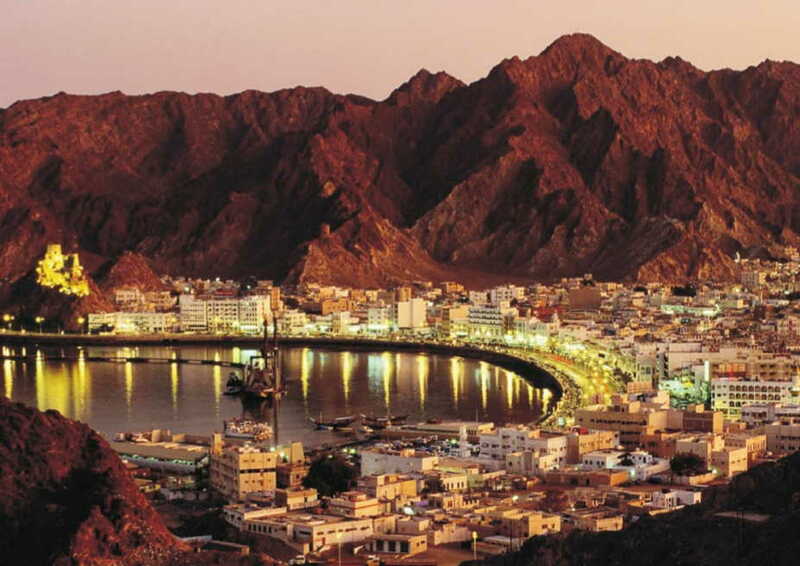 The country's main cities are the capital city Muscat, Matrah and Sohar in the north, and Salalah in the south. 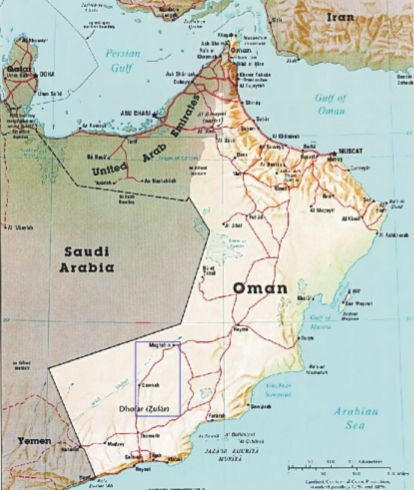 The peninsula of Musandam (Musandem), which has a strategic location on the Strait of Hormuz, is separated from the rest of Oman by the United Arab Emirates and is thus an exclave. Annual rainfall in Muscat averages 10 cm (4 in), falling mostly in January. Dhofar is subject to the southwest monsoon, and rainfall is up to 64 cm (25 in). The climate generally is very hot, with temperatures reaching 54°C (129°F) in the hot season, from May to October. 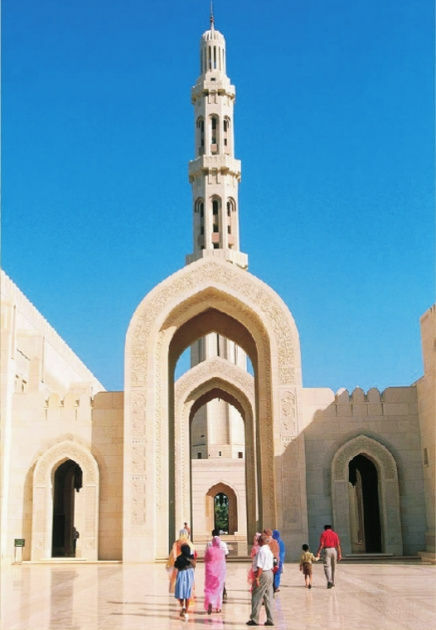 Although Arabic is Oman's official language, there are native speakers of different dialects, as well as Balochi, Swahili and French which are also widely spoken due to the historical relations with Zanzibar. A significant number also speak Hindi because of Indian migrants. 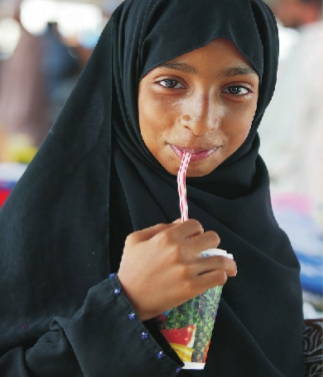 About 75% of the population consists of Ibadhi Muslims and other minorities make up the remainder of the population. The majority of non-Muslims are immigrant workers from South Asia, Indian Hindus and Christians. The Cuisine of Oman is fairly simple. Chicken, fish, and mutton are regularly used in dishes. A favorite drink is laban, a salty, buttermilk yogurt drink. Dates, dry fruits and pistachio nuts are also very popular. The Muscat Festival is held at the beginning of every year in which traditional dances are held. Another popular event is the Khareef Festival, which is held in August in Salalah, Dhofar. 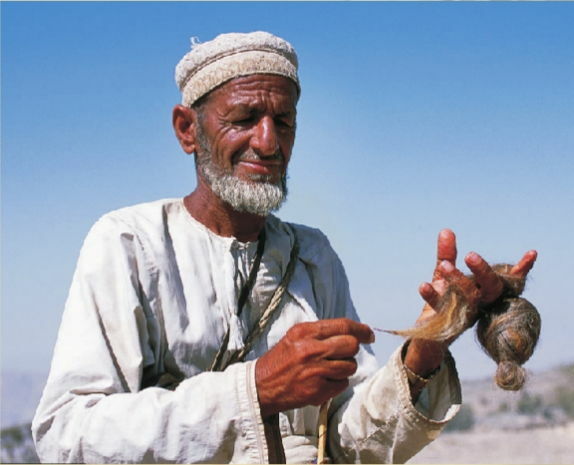 Oman is famous for its khanjar knives, which are curved daggers worn during holidays as part of ceremonial dress. Today traditional clothing is worn by most Omani men, a collarless robe called a dishdasha. Women wear hijabs and abayas. A very important part of Omani culture is hospitality. If invited into an Omani house, a visitor is likely to be greeted with a bowl of dates, qahwa and fruit. 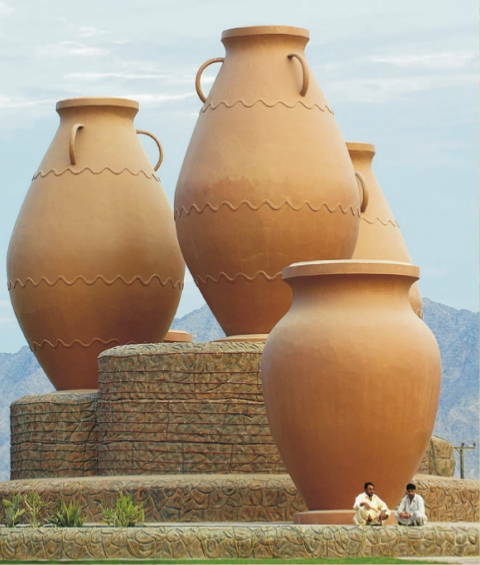 Oman produces Dates, Limes, Grains and vegetables. Oil production is extracted and processed by Petroleum Development Oman. Commercial export of oil began. Many oil fields have been found and developed. Oman's mineral resources include chromite, dolomite, zinc, limestone, gypsum, silicon, copper, gold, cobalt and iron. 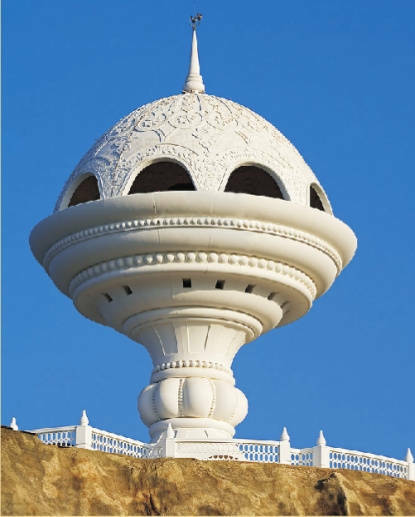 Oman is known for its popular tourist attractions because of its Wadis, deserts, beaches, and mountain areas which make Oman unique.